During World War II, mass volumes of military goods and food supplies were being shipped across the country and around the world. Before this era everything was hand loaded on to trucks. Pallets became a necessary commodity for the U.S. military in order to expedite shipments of much needed rations and supplies. After the war, pallets had become a necessity. Shipping long distances over the newly developed interstate highway system during the 1950’s grew the United States economy at a rapid pace. Wooden pallets were a must have for anyone looking to ship large amounts of goods to the marketplace. 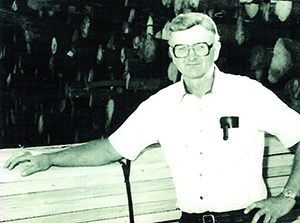 Victor Hegsted was an entrepreneur at heart. In the late 1960’s, he and his wife, Gloria, were looking for a business of their own and they found a niche in the pallet industry. The local sugar beet and potato markets needed pallets as they began selling their products around the country. 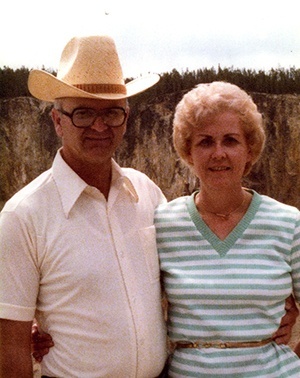 In 1972, he purchased the land on which our home office and main site are now found just north of Idaho Falls, ID. In November of 1982, Victor was lost in a single-engine plane crash while flying home from a visit to Salt Lake City, UT. Gloria, their son Tad, and son-in-law Kelly Bennion forged ahead with the young business. After much hard work, sacrifice, and determination, they were successful in making Challenger Pallet what it is today. We now call Utah and Montana home as well as our original manufacturing site in Idaho Falls. Each day we work to provide great customer care as if you are part of our family. Our customers continue to return to the best there is the pallet industry in the intermountain West.